Nature is rooted in every Finn. I love just how easy it is to go out to the nature and take a breath of fresh air. How you can escape the stress of everyday life to peace and quiet. How the forests and lakes shape the landscape and change with every season. I do think, that many Finns take their surroundings for granted. Still, one of the first things a Finn brags about their home country for any foreigners is definitely the beautiful nature. Finns truly love to take a steam, which explains why there are over 3 million saunas in Finland. In the summer, we tent to go to sauna in our summer cottages and take a plunge in cold water afterwards. In the winter we go to sauna to warm ourselves after being outside in the cold. Some do warm their saunas every single day, some not so often. Sauna is a place for relaxation. Finnish is often described as one of the hardest languages to learn. 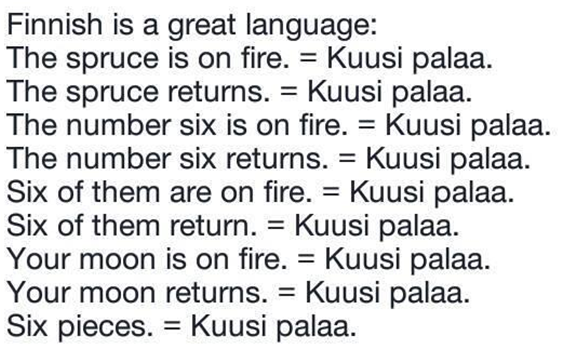 The fact, that there is no other nation, that speak Finnish as their mother tongue makes Finland pretty special. Whenever abroad, hearing Finnish will make you feel instantly confused, amused and weirdly safe all at the same time. Teaching basic Finnish words to your foreign friends makes you feel very proud of this special language. Finland is one of the safest places in the world. Finns feel safe to walk alone outside or using public transport despite the hour. You can be pretty sure, that if you walk with your bag open, no one will try to steal your wallet or belongings and you can safely leave your laptop on the table in a cafe and leave to get a refill. Finns generally trust each other and know that the police is a municipality that can be trusted if something happens. A couple of years ago I spent a lot of my time travelling alone. I love meeting people from different cultures, since all cultures have their own way of thinking. Of course, Finns understand each other the best through the history, language and culture. Especially culture, like the Finnish sense of humour, can easily go over foreigner’s head. During my travels in Iceland I met another Finn. Our Icelandic friend invited us to her house, and together with some Spanish and Japanese travellers we one night sat down to watch a classic Icelandic movie (can’t remember the name). It was exactly like the Uuno Turhapuro movies we have here in Finland and the absurdity of the movie was funny. The Spanish and Japanese travellers didn’t quite understand it, so I think it tells something about the mentality us Northern Europeans have. The Finnish sense of humour is dark, dry, subtle and often sarcastic. Even though we won’tmaybe admit it, we enjoy the horrible weather our country has. It gives us something worth complaining every day! It even gives us a reason to talk to each other. Oh, the numerous times I’ve stood in a bus stop and an elderly people has started a small talk about how beautiful/horrible the weather is. Same goes with public saunas. I’ve never sat in a public sauna where everyone has been quiet. I wonder if that’s a situation only a Finn can experience and properly appreciate, since the Sauna Chat ™ is usually in Finnish. Finnish language is notoriously difficult for foreigners since it’s in a small Finno-Ugric language family, which also includes Estonian. Many Finnish jokes are wordplay or puns. Many Finnish words have multiple meanings, depending on the context. One of the best examples is the word “kuusi”, which can mean either a pine tree, a number or “your moon”. It can be a cause of headache for foreigners who want to learn Finnish. However, learning Finnish lets you in on a wonderfully weird sense of humour. So, in conclusion, to me Finnishness is a way of thinking. 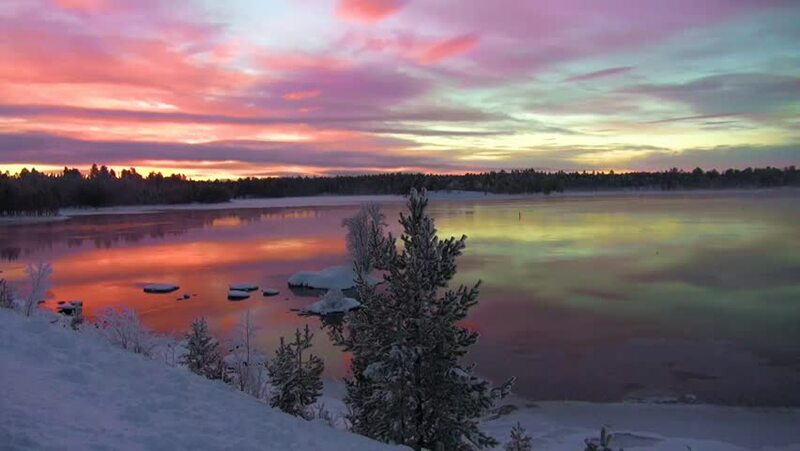 Our country is beautiful and people seem to be born with an appreciation of the nature, but in the end it’s more what’s inside our heads that make us Finnish.